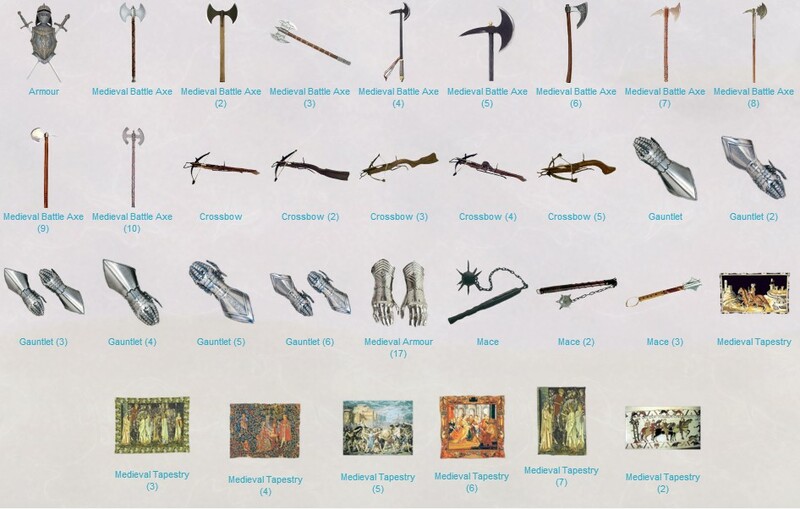 Some more Medieval icons for all the history buffs out there who don't believe once a knight is enough..hehe. Almost 60mb, I felt, was a tad big for just one pack, especially for those still on dial up, so I split 'em up and this is the first of 3 Medieval Mega Packs before I move on to something else historic... Enjoy. UPDATE: Thanks to the interest, time and efforts of Webgizmos, these icons are now crisper, cleanr and have drop shadows to give them more depth. These all are just great to have! Very nice job, and thanx again. Many thanks to you all for the great comments and downloads, they're appreciated a lot.